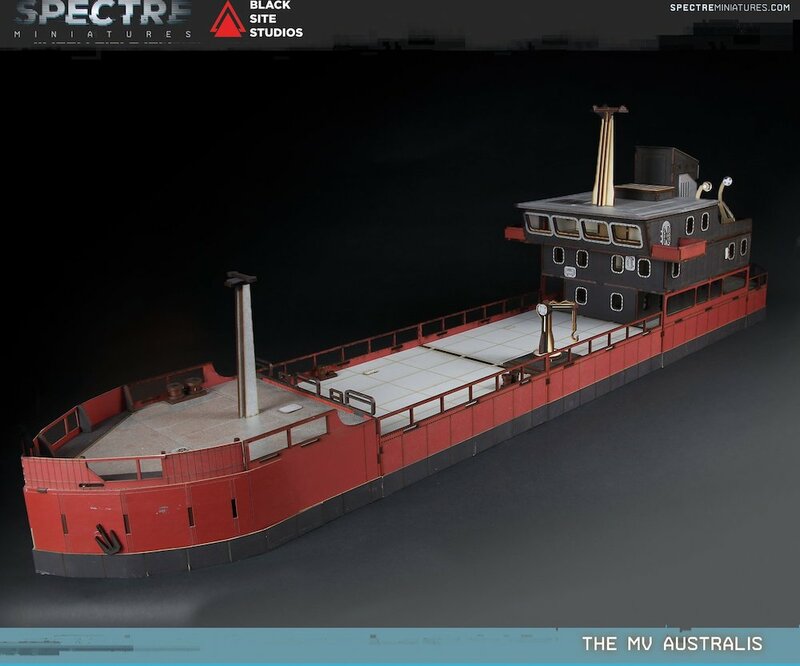 Vorbestellbar bei Spectre: die MV Australis – ein beeindruckendes Schiff. 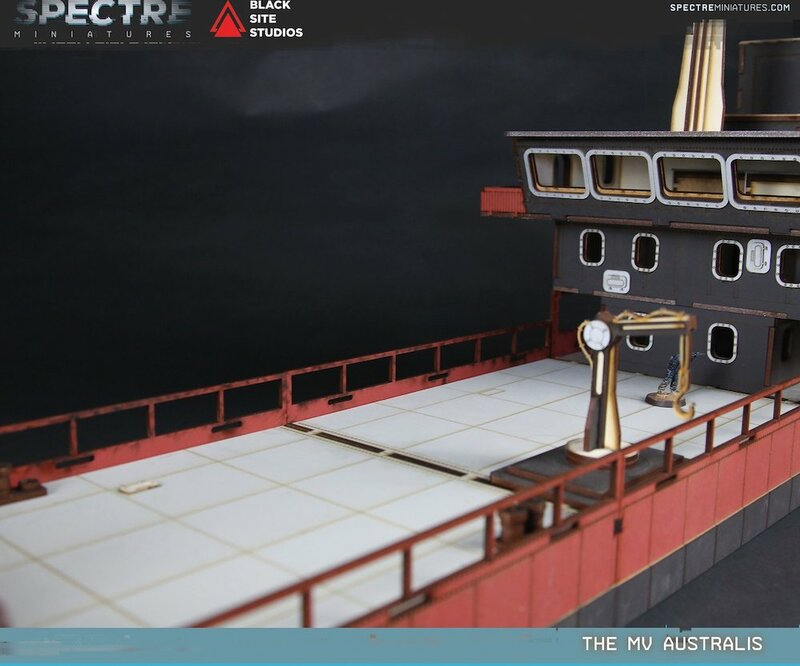 We are very excited to announce that due to popular demand, we have added Black Site Studios amazing new ship to our pre-order. Pre-orders end on the 28th of Feb, or before if the items sell out, so if you want anything be sure to order them now! 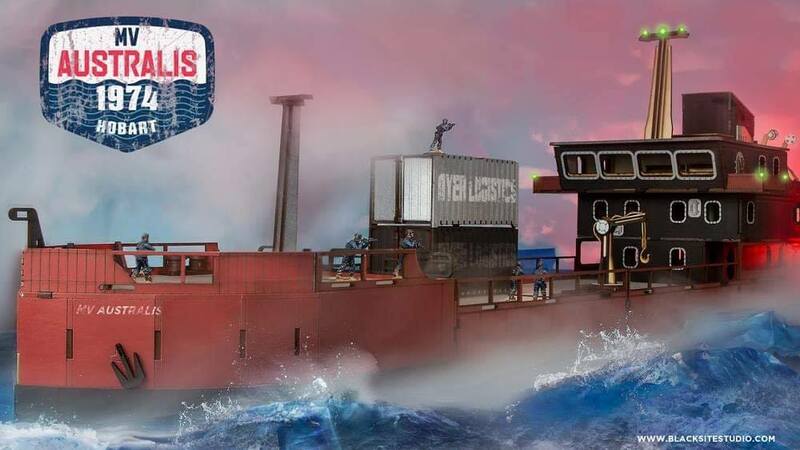 Launched in 1974 the MV Australis was used as a small load cargo ship between islands in the pacific and mainland Australia. After being almost broken apart for scrap in 1986 the ship was sold to a private corporation with ties to the North Korean government and used for smuggling operations in the South China sea. Clocking in at almost 4′ long, this is one of the largest 28mm MDF kits Black Site have produced. 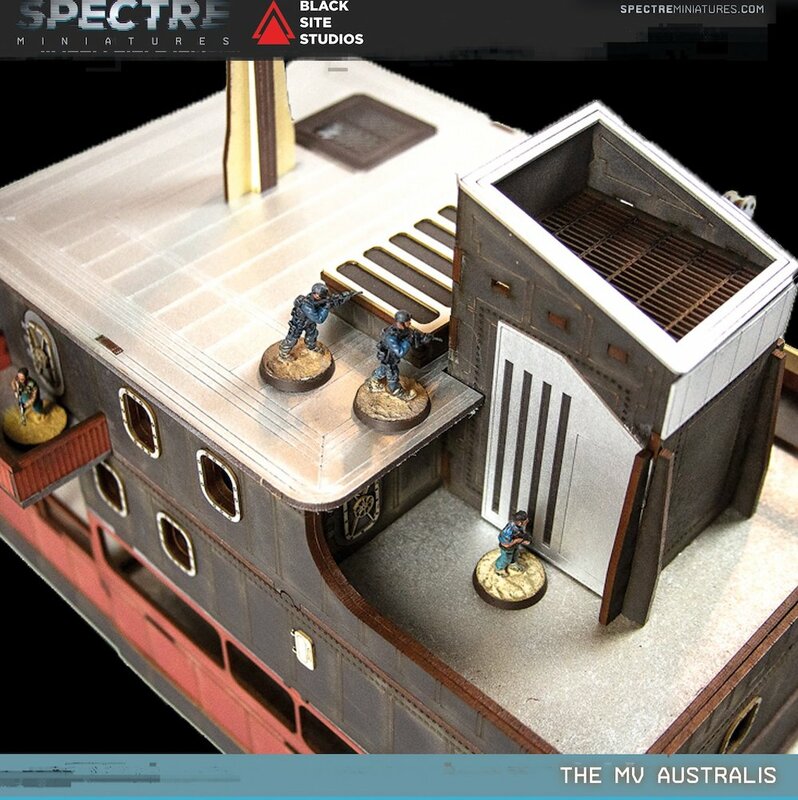 Featuring pre-painted parts, a highly modular design and a fully detailed bridge. We have also included 1/4″ holes to allow for magnetizing the sections together (magnets not included). 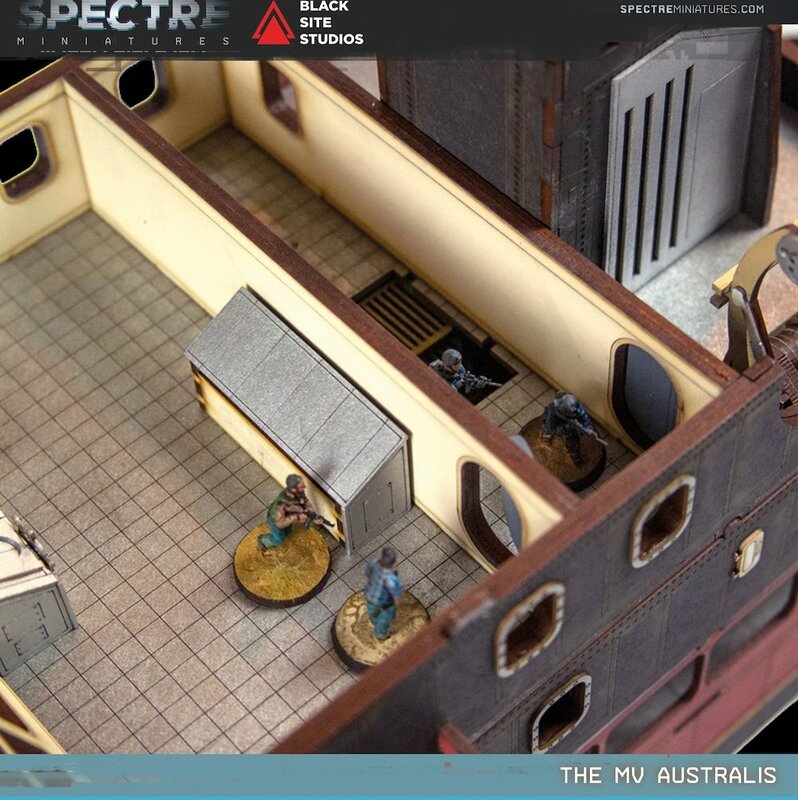 This kit is a perfect setting for games ofSpectre Operations. The difficulty of this kit is Advanced. This is a pre-order item. Estimated shipping is mid-March 2019. Please note, free shipping thresholds do not apply to Black Site Studios products. …den Kahn einfach mal auf eine Wastlandmatte gestellt und es passt auch für post-apokalyptisch.